As a qualified psychotherapist, I work with the client to gently explore what it is that they wish to change, whether it be something within themselves, or old patterns of behaviour that no longer serve them well in life, so that they can lead more fulfilling and productive lives. I provide a caring, non-judgemental space where the therapeutic relationship can grow and the client feels nurtured, supported and understood. Having trained as a somatic psychotherapist, I believe that the body is an integral part of our being, and cannot be separated from the mind. From my training, I also incorporate the latest developments in neurobiology, human developmental theory, attachment theory, trauma theory, selfpsychology and intersubjectivity. I also use mindfulness-based practices. As a member of the Australian Somatic Psychotherapy Association, I am committed to undertaking ongoing personal and professional development, including regular clinical supervision of my work. I practice in accordance with the stringent ethical guidelines of this association. I have been assisting people on their personal journeys of self-tranformation, with a variety of issues for the past 8 years, with wonderful results. I have also been a high school teacher for over 30 years and with empathy and compassion, have enabled many students to be the best that they can be and to transform the quality of their lives. For many years as a high school teacher, I worked with students who did the best that they could with what their life experiences had dealt them, with students who struggled to achieve their full potential. Many of these students had been labelled as troublemakers who impeded the progress of others in the classroom and therefore needed to be (and were) punished for not conforming or behaving. I felt some frustration that in schools, because time and resources are limited, I was not able to help such students as much as I would have liked. I noticed a huge difference in one particular student who had been labelled as ‘a troublemaker’, after I spent some time really listening to him, rather than reacting to his behaviour. He opened up and eventually became a ‘model student’ who went on, not only to achieve excellent academic results, but also, after seeing a therapist, dealt with his issues and went on to become a wonderful husband and father. I felt motivated to spend time working as a volunteer, supporting people work through their issues on personal development courses, and during this time, felt a driving passion to retire from full-time teaching so that I could become a therapist. My training as a Somatic Psychotherapist involved a thorough grounding in a mixture of the best established psychotherapeutic theories, from roots in Freudian psychology, through the many different movements that evolved over the years, as well as the fruits of cutting-edge research into psychotherapy and human development, and neurobiology. I have been influenced by a number of approaches, beginning with Kohut’s concept of empathic attunement (Selfpsychology ), including infant and child development theory, the enormous contribution of John Bowlby and others in Attachment Theory and Intersubjectivity Theory. I am particularly excited by the new developments in neurobiology, particularly as it relates to trauma and neglect and evidence that people’s brains can be rewired within the therapist-client relationship. As a Contemporary Somatic Psychotherapist, I embrace a comprehensive approach to personal growth and development which acknowledges that all facets of human experience are interrelated i.e. that the processes of the body/mind not only affect and reflect each other, but are actually inter-functioning aspects of a person's whole being. Each person's individual history, their cultural/biological context and bodily-based subjective reality are all inextricably intertwined. I also integrate mindfulness practices in to my daily life and in my work as a therapist. I am particularly interested in the neurobiology of trauma and development and how they impact on the organisation of the brain and subsequently on the organisation of an individual’s experience. I feel that it is immensely important to have an understanding of trauma and its impact, in order to work with traumatised individuals. Longer term and more lasting healing of traumatised individuals have been recently seen as resulting from the laying down of new neural pathways, achieved from repeated new experiences in therapy, in contrast to treatment in the medical model which pathologises and medicates. The work on infant and child development, including Attachment Theory, and how the brain is affected by neglect, continues to fascinate me, particularly in the context of neurobiology, and how through therapy, healing can be achieved when stages of development which were interrupted in the life-cycle can be reinstated. As a Somatic Psychotherapist, I believe in a holistic approach, that the mind and body are integrated. I work within a broadly humanistic and psychodynamic framework that is inclusive of the body, where the relationship between the client and myself is developed and valued, taking in to account each of our experiences and with a particular focus on what is happening in the present moment. Because we embody our experience, somatic cues as well as verbal information provided by the client are observed and when necessary, used to give feedback to the client, so that together, we can gently explore what is happening for the client, while the client experiences being supported in this process. For many people, anxiety and depression are the result of the stresses of a busy lifestyle, where too much is expected of them (by themselves and/or others) and they have lost the ability to self-regulate. Medication is not always the answer, sometimes all that is needed is empathic listening and empathic attunement, so that the client feels safe and can just be, without having to do anything, where they can be listened to, without judgement, and feel understood. This in turn can lead to better self-regulation and the implementation of more successful coping mechanisms. The client then can then, armed with an awareness of what they need to change as well as support, face difficulties and overcome obstacles, so that they can make different choices and thereby have the life that they desire and deserve. Some clients choose to have Bio-dynamic massage, which is a deeply nurturing experience in its own right, where the emphasis is on soothing the nervous system. This is entirely the client’s choice to work in this way. Progress will of course vary from client to client, depending on the client’s experience, history, their level of awareness and current circumstance. It can be very slow and extremely subtle, often out of awareness. For some, huge progress may consist of picking up the phone and making that first appointment, then in turning up, then in coming back and continuing in spite of the temptations not to do so. Facing one’s fears and expressing them (either verbally or somatically), then facing them and attempting different coping strategies for difficulties/issues are all examples of significant progress which may be dismissed or minimalised or even overlooked. I personally feel that the client starts to feel that progress is being made when they truly feel (even out of awareness) that they are heard, understood and accepted, unconditionally and without judgement. This may be a feeling (such as relief, or a sense of trust or of being held or supported), rather than something that can be verbalised, or it can be a bodily experience, such as a deep sigh, or tears. Understanding may come later as to why, but this is something for the client and therapist to gently explore together. Therapy has made me a better person because it has allowed me to embrace all parts of my self, including the parts that I learnt at an early age to suppress or disavow. It provided a safe place where I felt understood and supported, which in turn led me to want to explore the rationale behind the behaviours and relationships that I was choosing in my life, which invariably were not helpful in attaining the joy that was my birthright. Through a development of my understanding, I was able to further develop my self-reflective and relational capacities. In becoming more accepting of myself, I am able to empathise with others and to practice non-judgement, be a better listener, as well as provide support for others without losing myself in the process. I am able to ask for and accept support, and see self-care as being a necessity rather than an indulgence. As a young child, I learnt at an early age that approval from my parents through being a high achiever was paramount to my sense of well-being. Like many, I became a driven by perfectionism, which later in life, invariably led to frustration, because that perfection could not be achieved. Through therapy, I have come to accept and like who I am, warts and all, and no longer needing to seek validation of my self-worth from external sources, but from within. I am able to have more choice in my life. I am grateful for so much more, and as a result, can allow myself to experience a fuller range of emotions and feelings, and to see that as healthy. I am able to experience each day with whatever it brings, acknowledging the past without regrets, and looking forward to whatever may arise in the future, learning from each experience, whilst remaining true to myself and to my values and beliefs. What I love most is that a client trusts me enough to take that courageous leap of faith to change something in their life that is not working for them, and allow me to support them on their journey to enhance the quality of their life. I feel very humbled and privileged to be able to do the work that I do and to see clients gradually become empowered to lead more satisfying lives. 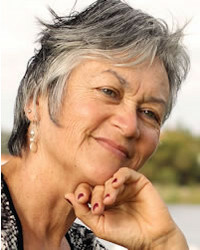 It is extremely rewarding to be able to work together to change patterns of behaviour that are not helpful, to have the client experience an increase in their self-esteem, to provide tools and the practice of using those tools so that they can have a different experience, which will lead to the realisation that they have the potential to achieve so much more from their lives. It is truly heart-warming to see a client feeling safe enough to allow themselves to be vulnerable, to work through difficulties and fears together, to make the brave decision to work more deeply and then to see them come through the other side, having more choice in their lives. In addition, I learn so much more about myself and grow from time spent with each client. Yes, of course I do. I am, after all, a human being, with all of the fallibilities, vulnerabilities and weaknesses (and strengths) that are part of the human condition. I am also a product of my past experiences and the relationships that have shaped me, and can be, and am, triggered by events that occur, often outside of my awareness. I am fortunate in that I have had training, have done lots of self-development work, engage in mindfulness practices such as meditation, and have ongoing therapy, so that I can deal with my bad hair days in ways that serve me better. Part of my success in dealing with bad hair days is acceptance that they do (and will) happen, rather than trying to disavow them, or wish that they didn’t happen, or worse still, blaming myself. Awareness of why they happen can be helpful (although not always necessary), although I personally find that awareness of how I react is more useful to me in order to change how I handle similar situations should they arise again (and not surprising, they do!). Asking for and accepting help, something that I used to struggle with, help tremendously too. Spending time in the company of like-minded people also provides ongoing support. The other key factor for me in handling bad hair days is to connect with nature, such as taking a walk along the beach, spending time playing with my cat, or spending time in my vegie patch with my chooks, for engaging with my environment gives me ‘the bigger picture’ perspective. Having gratitude for my life, my health and the people in it helps me cope with those ‘bad hair’ days. I think that the most significant problem that we face stems from a lack of harmony, imbalance with our planet, imbalance with each other, and imbalance within ourselves. Many people on this planet are struggling with obesity, whilst many others are dying from starvation. People are killing each other and destroying the planet. There is an inequitable distribution of wealth, success in many places is measured by how much wealth one can acquire in a lifetime, rather than on how humanely or compassionately one lives. This causes a lot of stress in people’s lives as they feel that they cannot live up to the expectations that they, and others, place on themselves, and this leads in turn, to imbalance. From this stance, for many, it is difficult to feel gratitude or compassion, to extend kindness or to be non-judgemental with others, let alone with oneself. Many people are more reactive than proactive and change is difficult. It is often difficult for people to communicate honestly and openly about what is going on for them, when it is not safe to do so or when unaware of what is going on internally. When one does not feel good about oneself, it is often difficult to really feel good about anything else, let alone have compassion for others, and so on the cycle continues. It is important to break the cycle, by providing a safe, non-judgemental space, where a person can feel supported and begin to restore their self-esteem, so that they can begin to restore balance within themselves, then in turn in their lives and within their environment. Sadly, for many people on this planet, their world IS a dangerous place where their very existence is indeed under threat. There are many books, films, songs, events and works of art that have inspired me and on a daily basis, new ones that inspire me. I am also constantly inspired by people, many of whom would not consider themselves to be inspirational, who are struggling to eke out an existence, overcoming adversity and who exhibit incredible courage battling illness and difficult challenges that life throws them. Perhaps the most significant piece of writing that inspired me, was one of my textbooks from my training, Robert Karen’s “Becoming Attached - First Relationships and How They Shape the Capacity to Love” (1988). The title of this book unseated a deep inexplicable fear in me, which manifested itself in a reluctance to even open the cover of the book, followed by procrastination over reading it. Once I forced myself to read it (I had to, as it was compulsory reading as part of my training), I began to gain an understanding of what my fear was about and to work through it. The book provides an excellent summary of the history of Attachment Theory and the significant impact of early attachment history on a person’s ability throughout life, not only to love, but to handle difficulties or even crises in their lives.